The tests in the assessment box are excellent tools for use in job and career planning. They provide placement officers, educational counselors and careers advisors with additional information about their clients’ skills and personality and hence improve the quality and efficiency of placement. With our test system you can test abilities – such as motor skills, reactions, vigilance, multi-tasking and planning ability – that can only be measured accurately by electronic means. In addition, general ability tests, personality tests and intelligence tests help to identify special talents. Children can be assessed and screened for a number of gifted abilities, learning disabilities, specific areas of struggle, emotional challenges, and social interaction. We can help identify your child’s areas of struggle as well as his/her areas of strength. These reports can be provided to the school to help with individual teaching programs and therapy sessions. 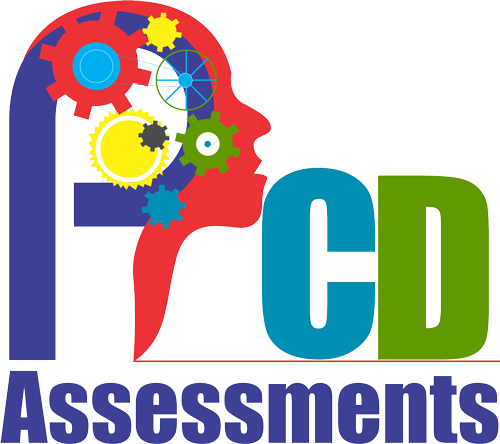 Assessment tools measure aspects such as general intelligence, aptitude, personality, interests, values, etc. PCD can provide feedback on possible career choices that clients may be interested in. It is very important to do what you love. You spend more time at work in a day than you do with your loved ones. You want to make a difference through your work and have a fulfilling job that makes you ‘tick’. Career guidance takes a holistic approach that looks at various aspects of yourself in order to guide you towards a career you may really enjoy. Through a vigorous process you will be able to explore your aptitudes, personality, interests and values and see common threads emerge that can point you closer towards your career of choice. Career guidance is available for whichever bracket you find yourself in- the school leaver, the undecided ‘twenty something’, the mid career transition, and those hoping to make a new start. STUDY SKILLS WORKSHOP WHO SHOULD ATTEND? Learners from grade 4 - 12 will benefit from the practical study skills taught during our workshops. Both Junior (gr. 4 - 7) and Senior (gr. 8 - 12) Workshops are presented in English and Afrikaans. Techniques for note taking - "3 keys are better than 1!" Memory Techniques - using the right 'study tool' to learn faster and remember more. All the major mnemonic systems are covered. 8 hour workshop is usually held over 4 two hour sessions, depending on the size of the group. What does a full psycho-educational assessment of school readiness involve? The assessment takes approximately 4 – 5 hours depending on the child’s pace and progress on each task. A feedback session is scheduled one week from the day of assessment to discuss results and recommendations. A comprehensive written report will be provided. Is your child ready for “big school”? This is recommended for children who are 5 to 6 years old.